May 28, 2015 (Cleveland, Ohio) — StreamLink Software, the market’s only comprehensive grant management software provider, launches its integration with Thompson Information Services, the leading publisher in federal grant compliance information. The best of Thompson content is now dynamically integrated into the company’s grant management software, AmpliFund, via a new Knowledge Center. Grants Intelligence: Insight and best practices from the nation's leading grant professionals on the latest development and compliance issues. News: Instant updates from the U.S. capital on important events and legislation that can impact grant programs. Tools and Forms: Customizable templates, including grants calendars, audit checklists, risk assessment matrices, time and effort reporting worksheets, and budget aids. Publications: Analysis of Office of Management and Budget (OMB) grant reform guidance designed to help fund recipients navigate the full grant lifecycle — from pre-award to award, post-award and closeout. Webinars: Topical webinars that break down the most complex, and potentially confusing, guidance and regulations issued by OMB and federal agencies. The Knowledge Center will be available to new AmpliFund customers as a value-add via their Full Cycle and Public Sector product subscriptions. The company’s flagship grant management solution, AmpliFund, captures grant information as data and automates hundreds of complex activities throughout the grant lifecycle. Its board management portal, BoardMax, helps organizations engage and communicate with board members. Both products are high-value, affordable software solutions, designed to help nonprofit and public sector entities maintain compliance, generate revenue and build capacity. Since 1972, thousands of professionals in business, government, law and academia have relied on Thompson Information Services to provide the most authoritative, timely and practical guidance available in a variety of professional practice areas. 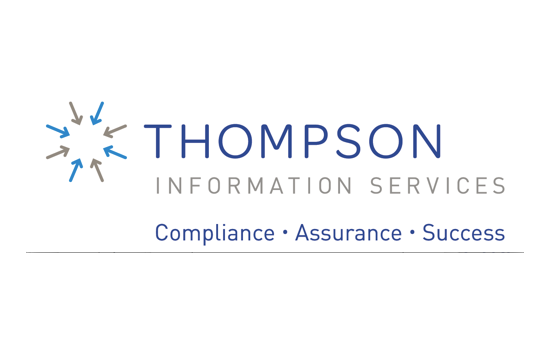 Thompson Information Services is recognized as one of the leading publishers in regulatory compliance information in the fields of federal grants development and management, employment law, retirement plans and employee benefits, food and drug manufacturing, and health care facilities and records. The Thompson Information Services collection includes over 50 industry-leading titles covering critical compliance and regulatory issues, including respected resources such as the Federal Grants Management Handbook, the Single Audit Information Service and Techniques for Monitoring Federal Subawards.